Drippings from the metal solutions need to be collected by pouring them from the trays into a UN container. 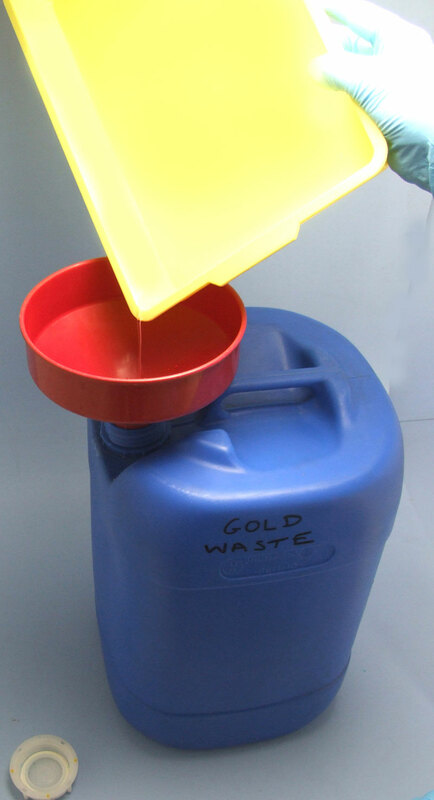 Gold waste needs to be collected in a separate, marked UN container and segregated from other wastes. Mixing the two will result in the development of dangerous gasses. 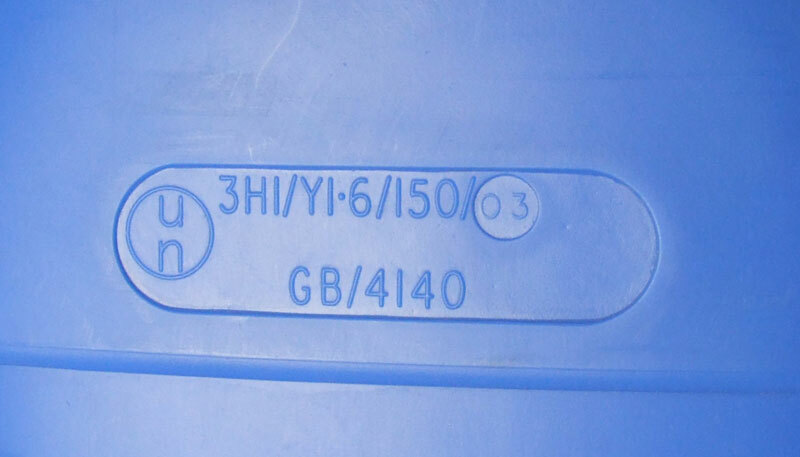 The UN marking should be clearly visible on the side of the container. This type of container can be easily purchased over the internet. Keep the UN containers in a safe, well marked area and consult your local telephone directory for waste disposal services in your area. Make sure you label the gold solution container to distinguish it clearly from the other container!